A full range of funeral and mortuary products are available through our offices. 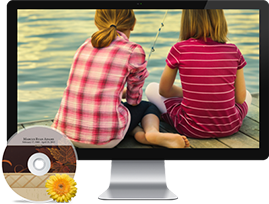 Caskets, cremation caskets, burial vaults, urns, monuments, markers, keepsakes and commemorative jewelry along with a variety of printed, audio and video memorials are available in all price ranges. Lynch & Sons believes that all decisions related to the expense of funeral services and the choices of funeral merchandise belong to the families we serve. None of our directors or staff works on commission or quotas or bonuses. No discussion of funeral arrangements will take place without fully itemized price information and price disclosures. This is in keeping with good consumer protection, good business policy, and the spirit and the letter of federal regulations. Green Funeral arrangements prohibit formaldehyde-based embalming, the use of metal or concrete grave liners, burial vaults, or other permanent burial containers. 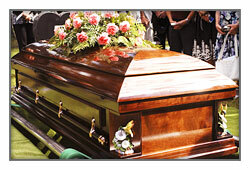 Caskets or other containers, when used to enclose and transport the dead, are made of biodegradable materials. Public visitation, be it at the family home or funeral home, church funerals and graveside services may be arranged without embalming within the time frame that the laws of the State of Michigan allows, otherwise non-formaldehyde based embalming will be utilized to conform to the laws of the State of Michigan and the time frame that green burial allows. Lynch & Sons is proud to offer several green funeral options and is a funeral provider approved by the Green Burial Council: “an independent, tax-exempt, nonprofit organization working to encourage environmentally sustainable deathcare and the use of burial as a new means of protecting natural areas.” As always, detailed price information for each component of services and merchandise is itemized and explained to you, our client. While burial is the most common form of disposition when people are considering “Green Funeral” arrangements, it is our belief that the methods utilized for Green Burial can also be utilized for other forms of disposition such as entombment and cremation. For those choosing Green Disposition, Lynch & Sons Funeral Directors will make every effort to conform to Green Burial standards for families choosing Green Disposition in traditionally “non-green” cemeteries in order to accommodate burial in existing family plots with family members. Prior to the existence of funeral homes, most wakes and funerals, along with other important family events such as weddings, births and baptisms, took place in the family home. 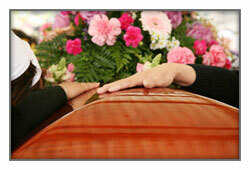 Today, with the assistance of hospice, many people are brought home do die in the care of their family and friends. As hospice assists the family in providing that important end of life care, Lynch & Sons Funeral Directors is able to assist families in the preparation of the deceased, providing merchandise and equipment, and helping to arrange logistics and transportation for a funeral service and final disposition. In addition, Lynch & Sons Funeral Directors will arrange for all of the legal forms and permits necessary, thus allowing the family to continue the care of the deceased. For those wishing to forgo any formal visitation or funeral services prior to disposition, Lynch & Sons Funeral Directors will arrange for all of the necessary legal paperwork and transportation of the deceased to the final place of disposition in a timely manner that will also allow the family to witness and participate if they desire. We can also assist in arranging for future memorial and graveside services and or disposition of cremated remains.